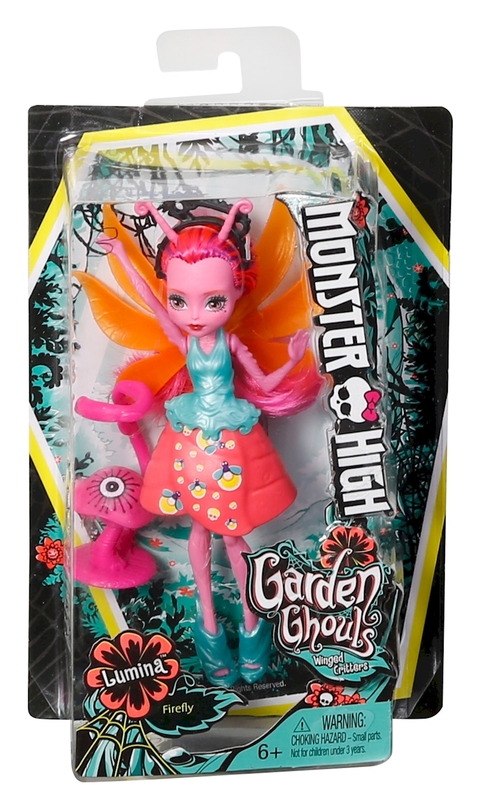 The Monster High™ Garden Ghouls™ winged critters dolls help imaginations take flight! The colorful bug creatures are inspired by garden critters and come with plant friends that can be attached at the dolls' waists. Designed in small scale (5.25 inches), each doll wears a brightly colored outfit with shoes, headpiece and wings. 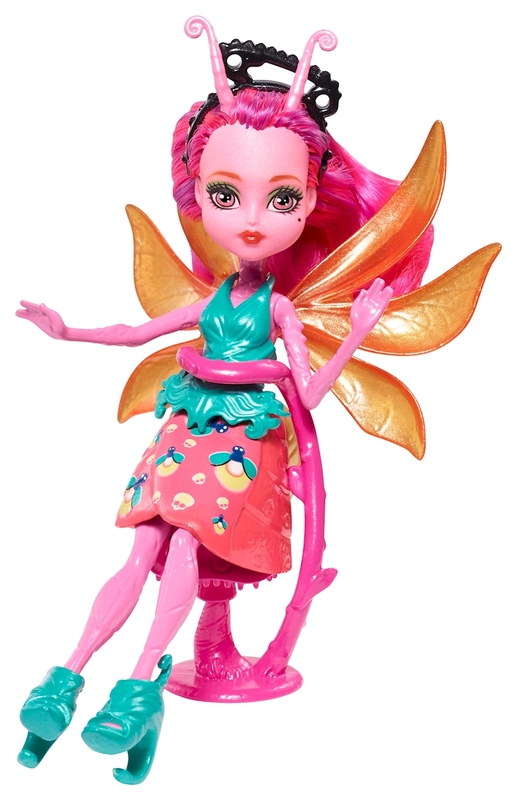 Lumina™ doll brings fireflies to life with fly-tastic touches that include color-streaked hair, orange firefly wings, pink antennae and a translucent firefly tail. Her mushroom friend is just as fun in a bright pink with a big eye and a magical twist: it fits around Lumina™ doll's waist to create a seat. Plus, the doll can connect to hooks on the larger Garden Ghouls™ Treesa Thornwillow™ doll (sold separately) to expand play. Collect all of the Monster High™ Garden Ghouls™ dolls and accessories to grow your own gore-geous garden of fantastical fun (each sold separately, subject to availability).